This program is thanks to Jorge Elorza, Providence Art Culture Tourism, and the Partnership for Providence Parks 2018 Eat Play Learn: Neighborhood Performing Arts Initiative. 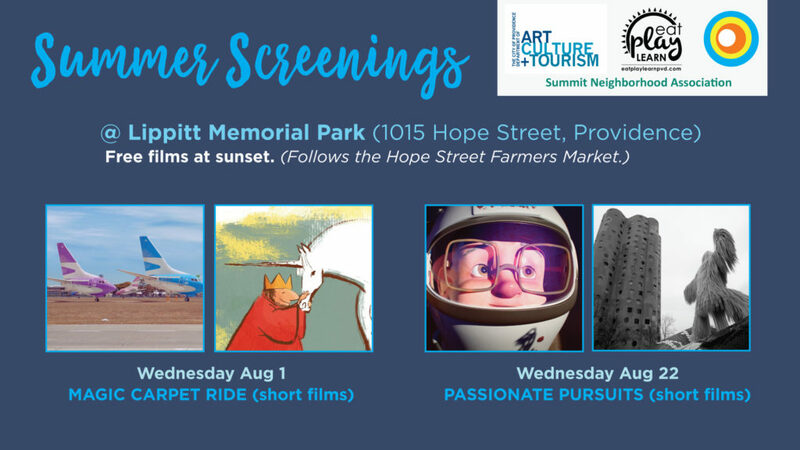 Providence Children’s Film Festival proudly presents two unforgettable film programs this summer composed of short films from around the world. Join us under the stars after the Hope Street Farmers Market packs up their veggies, eggs and cheeses and rolls away. Located near the playground! And fresh popcorn will be poppin’ the whole night long. Check the SNA Facebook page for weather updates.